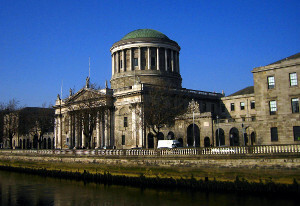 The Master of the High Court, Edmund Honohan SC, has publicly challenged the president of the High Court to explain why he has been removed from debt cases, the Irish Independent reports. Mr Justice Peter Kelly signed an order last month to remove debt cases from the master’s list with effect from Monday 4 February. In an interview with the newspaper on Saturday, Mr Honohan said he had not spoken to Mr Justice Kelly since the practice direction was issued, but was “quite annoyed”. Mr Honohan is regarded as a prominent critic of how some banks have dealt with repossessions. At one point, he drafted a bill to help people in such cases by giving non-profit housing providers the right of first refusal on buying the security on homes that are in mortgage arrears. His role as Master sees him deal with pre-trial matters before they go before a High Court judge, for instance ensuring that correct procedures are followed and paperwork is in order. However, Mr Honohan has recently come under criticism from judges for giving defendants “a false sense of hope” by making orders beyond his powers. He told the Irish Independent he was “not as distressed and shocked [by Mr Justice Kelly’s decision] as some people seem to think”.